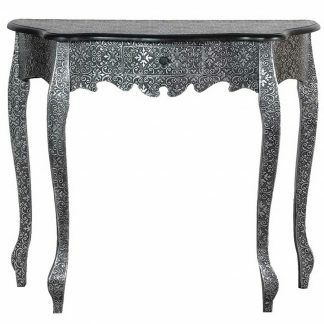 A stunning wooden double drawer hall table with a unique detailed top. 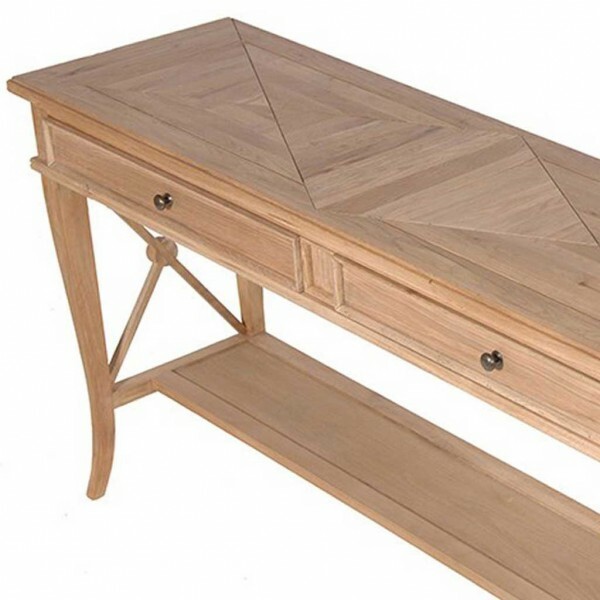 A subtle triangle pattern has been beautifully crafted in the table top. 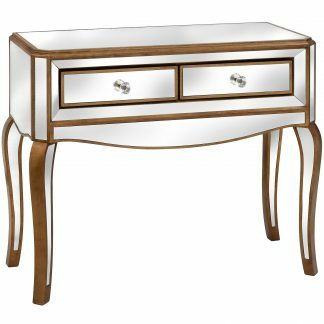 With decorative X-frame sides, curvaceous legs and a handy bottom shelf. 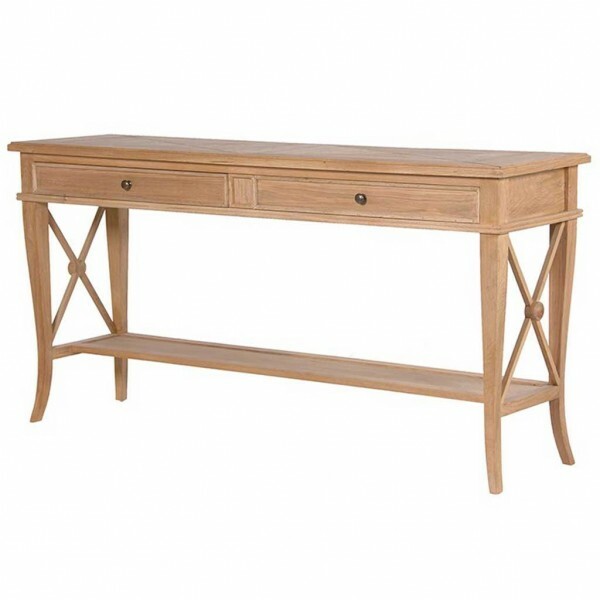 Solid oak table with a natural colour wood finish.